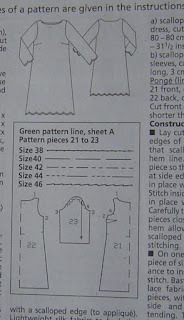 I have been commissioned to make a two piece wedding dress for a lady in my MIL's knitting group. This utterly delightful lady is 83, and such a pleasure to talk to - I LOVE old people who are still ALIVE! Anyway, when she came around to discuss the style she wanted it became apparent that I would have to draft it, since she didn't have a pattern in mind. 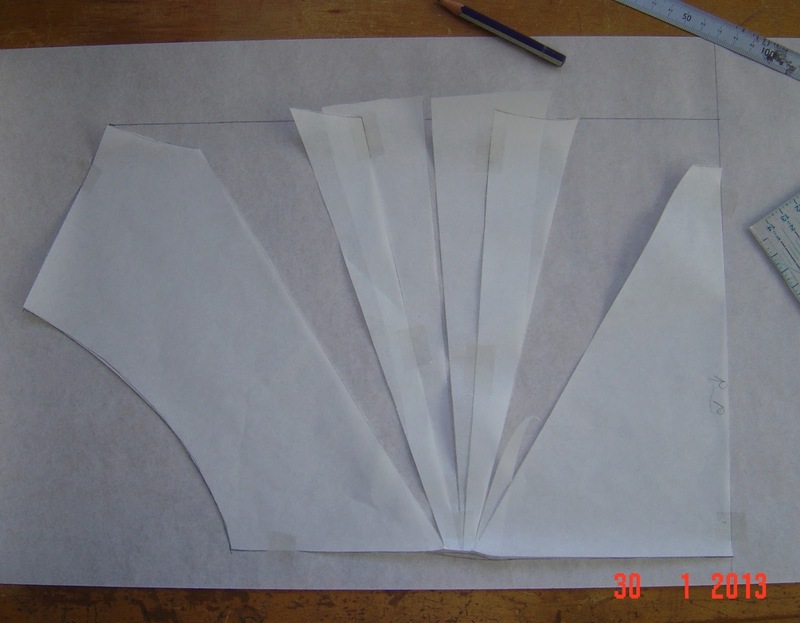 This is always fine by me, and it got me thinking about a blog post on Fashion Incubator which refers to a blog post written by a hobby seamstress (Belinda - Sew4fun) describing her efforts to draft from scratch, only to ultimately end up modifying existing patterns. I was really interested to read that (along with everything else Kathleen writes, I might add) because that is what I almost invariably do when making commissioned garments. (My childrens' designs are drafted from blocks I drafted from scratch.) 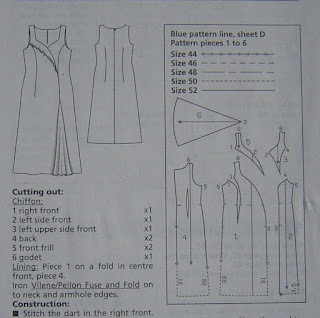 I almost exclusively use Burda magazines, which I've been buying for over 20 years. (Not every issue by any means, but I have a l-a-r-g-e pile) I like how they fit, and the absence of seam allowances makes the modification process much simpler. 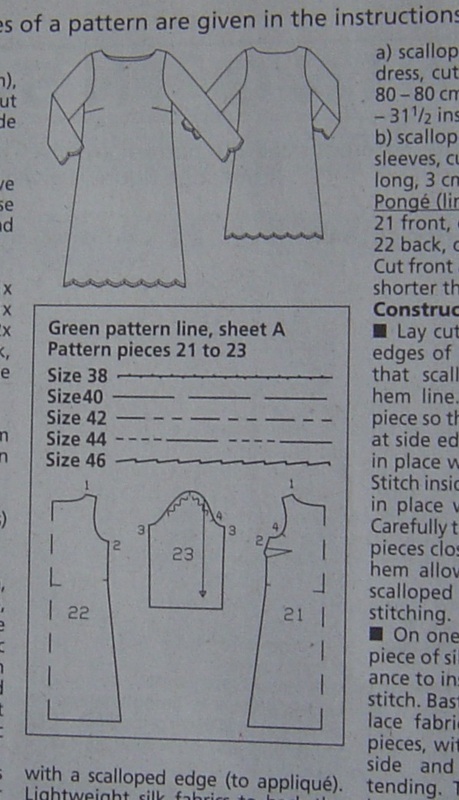 When making a pattern for someone from a picture or sketch I go through the magazines and find something which has the basic shape I am looking for, and modify it to add the details. It works really really well, so I thought that just for fun I'd share the process I followed for this outfit as I make it. First of all I had to find a pattern which had the right silhouette to modify. 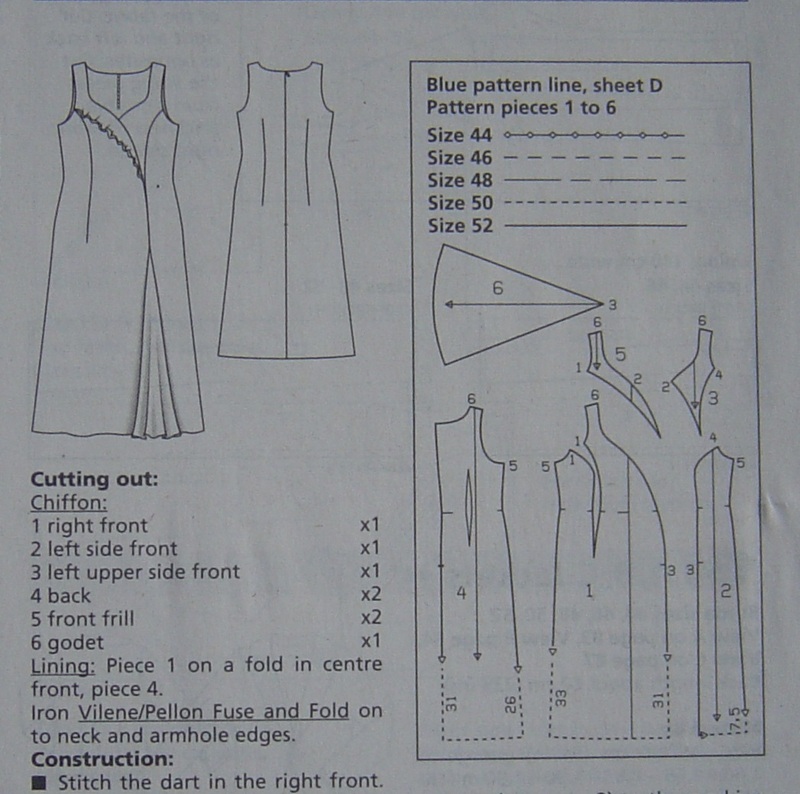 The top of her outfit has a cowl neckline set into a seam from above the armhole notch on one armhole, down to the bust point, across to the other bust point and back up to the notch on the other armhole. My sketching is terrible so I don't have that to show. 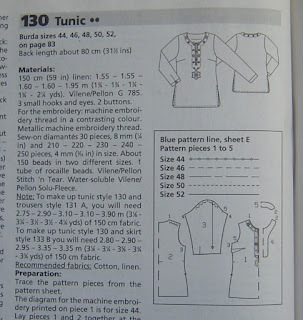 This is what I started with - a tunic from BWOF 05/56, #130. 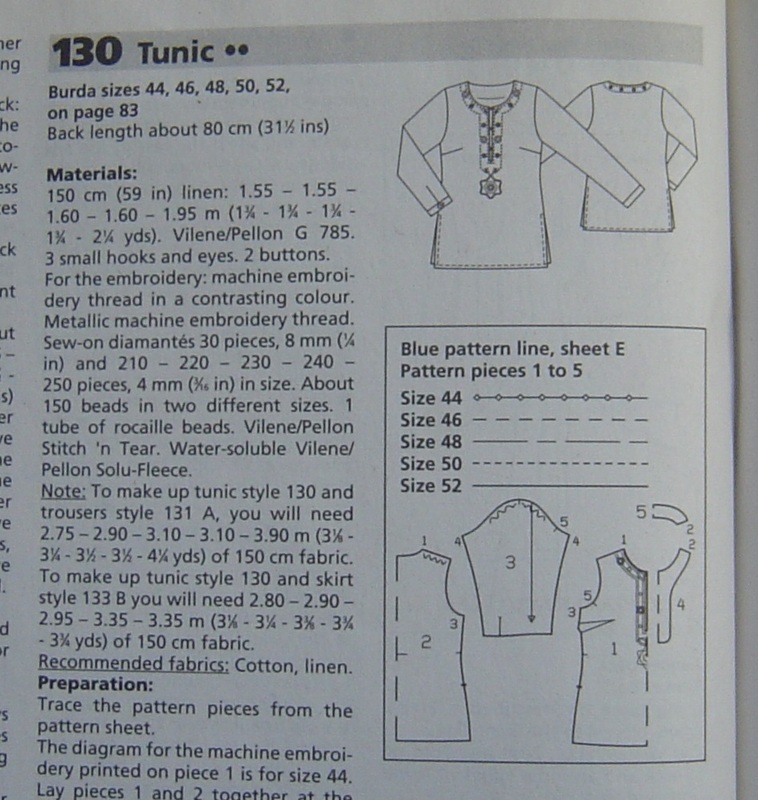 Her bust measurement corresponds to a Burda 46, which this pattern includes. 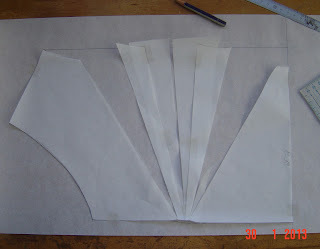 It has horizontal bust darts, which can easily be pivoted into the neckline becoming part of the cowl draping. In addition I added the back seam shaping and darts from this one, BWOF 06/06 ##130, to bring in the back so that it doesn't hang like a sack. My lady has a bit of a rounded upper back, but not a real dowagers hump, so I'm anticipating that there may be some alteration needed to accommodate this, which our first toile should show. So, first up is the front. Here it is, unmodified. First up I drew a style line from armhole to bust point to CF. Closing the horizontal bust dart and opening it into the neck got me to this. 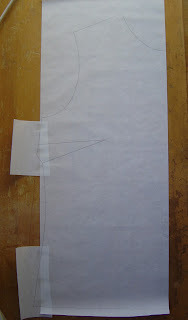 Then I further slashed and spread the piece to get a finished cowl depth to match a previously determined measurement. See - easy! 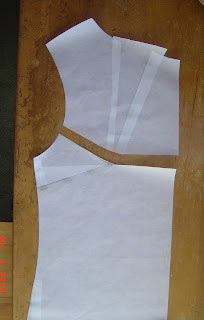 After adding (wide) seam allowances the front pieces, back and sleeves are ready to go. I just have to go back to the original pattern and trace off the upper front again for a stay to go under the cowl. I'll post progress once I make up the toile. 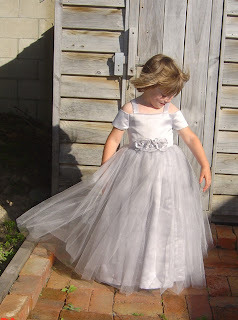 And to close, a gratuitous pic of Isabella, wearing the dress I made for Georgia to wear as our flower girl/ring bearer when we got married. Georgia was 6 1/2. Isabella is 4 1/2. It fits perfectly. Thank you! This will be VERY interesting to follow! 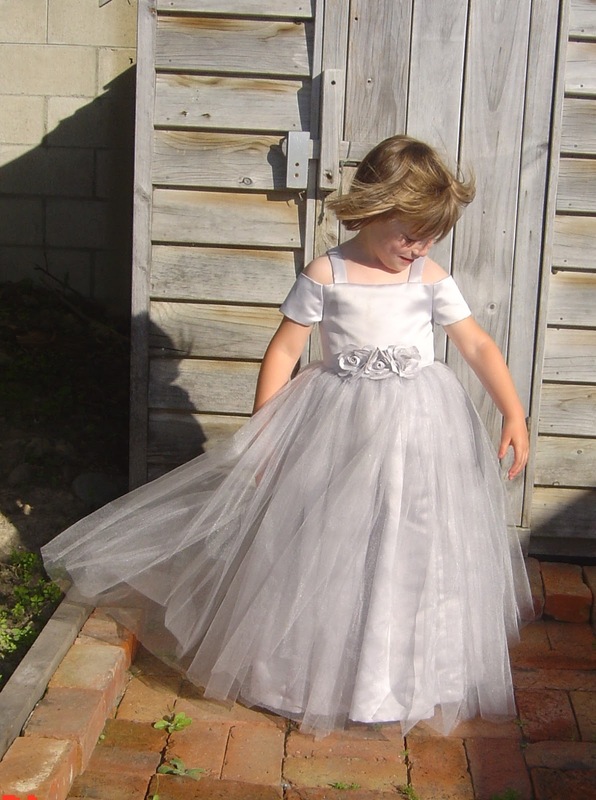 The flowergirl dress is gorgeous!